Annual Stipend: circa £11 k p.a. Here is an exciting opportunity to apply computerised machine-learning technology to improve the automated clinical assessment of chronic skin wounds and ulcers. This could lead to entirely new approaches in wound diagnosis, management and wound care treatment. The selected candidate will apply their research and interpersonal skills and ambition to conduct applied research with the University of South Wales and GPC Ltd. This research project will allow the student to develop transferable knowledge and skills in this most exciting and active field of applied health and wound care research. 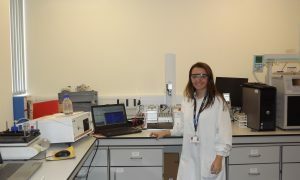 This Knowledge Economy Skills Scholarship (KESS) project will be held in the Faculty Life Sciences at the University of South Wales. 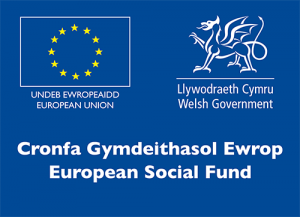 KESS is a programme funded by the European Social Fund (ESF) awarded by the Welsh European Funding Office (WEFO) in the Welsh Government. The MRes will be associated with University Health Board. 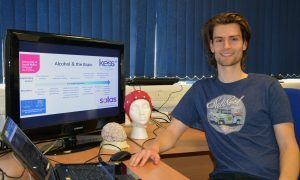 The project will collect images of wounds including depth data from different groups of patients using 3D cameras. 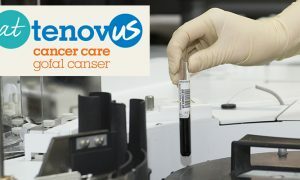 GPC Ltd have experience in this area and are supporting this project to assist in the development of techniques that can better assist the care, interventions and hence outcomes of these patients. In particular, there are a number of areas where the application of various machine learning techniques and tools will be applied to assist the clinician. GPC is a software development company with a number of healthcare products. They are particularly interested in emerging technology such as 3D, Machine Learning and Augmented Reality (AR). As such, their products are particularly innovative. Whilst they have some excellent in-house knowledge and experience they are looking to further add to their products with research and development in the areas mentioned for wound care. The project will run for 12 months. Under supervision and guidance, the project will use various machine learning techniques and tools to automate identification of wound types and grade pressure ulcers. Using processes such as 3D image enhancement and fully automated edge tracing. If time allows predictive analytics will be used to derive and consider patient outcome reports. The participant will be based at the University of South Wales although there will be scope to spend appropriate time at GPC Ltd. Company training and induction will be provided as it is for all staff. The participant will be provided with a laptop and any software licenses required such as Microsoft Visual Studio and MSDN. GPC will provide technical support and guidance, in particular with the design of algorithms and the integration with GPC’s software to ensure the outputs are suitable from a technical and commercial stance. GPC will provide access to customers and medical guidance and access to existing development platforms including but not limited to development servers, cloud test environments, broadband, telephones, and office space. The studentship will cover the fees for a 1-year full-time MRes programme and pay a stipend of circa £11 k p.a. 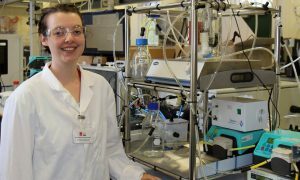 There is also around £3k project support costs available for consumables, travel, minor equipment, training (including the KESS Grad School) and conference attendance. have a home address in the Convergence area (details below)* at the time of registration. have the right to take up paid work in the Convergence area* on completion of the scholarship. *The Convergence area covers West Wales and the Valleys, and is made up of the following 15 local authorities: Isle of Anglesey, Gwynedd, Conwy, Denbighshire, Ceredigion, Pembrokeshire, Carmarthenshire, Swansea, Neath Port Talbot, Bridgend, Rhondda Cynon Taf, Merthyr Tydfil, Caerphilly, Blaenau Gwent and Torfaen. Have a degree (2i or higher) in an appropriate computing, engineering, medical physics discipline. Nursing and Life Science graduates may also apply. Possess a reasonable understanding of machine learning, image processing and predictive technologies. Some understanding of human physiology, and wound pathophysiology would be useful but not essential.